This week I show you how I did my new portrait of Andre the Giant! And! New paintings of Brad Maddox, Cody Rhodes, Austin Aries, Jerry Lawler, Jim Ross, and Fandango! 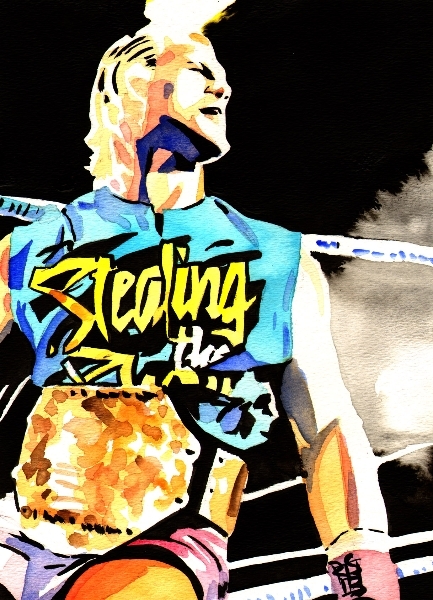 Then I give you the scoop on my new paintings up at WWE Auctions! Plus! The return of El Chuparobra! This entry was posted on March 3, 2014 at 9:38 pm	and is filed under Uncategorized. Tagged: Andre the Giant, Austin Aries, Brad Maddox, Cody Rhodes, El Chuparobra, Fandango, Jerry Lawler, Jim Ross, Rob Schamberger. You can follow any responses to this entry through the RSS 2.0 feed. You can leave a response, or trackback from your own site.